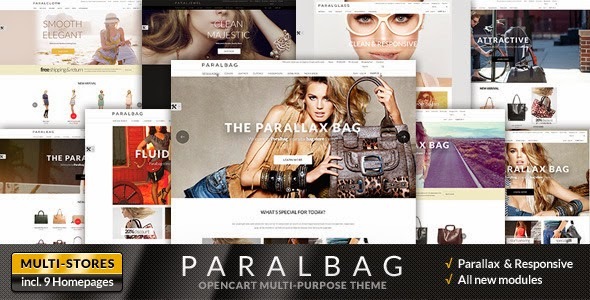 PARALBAG is new Opencart Parallax theme. It's a multipurpose eCommerce theme you can use it for bag store to any fashion or gift shop website. Item Reviewed: Opencart Fashion Bag Store Parallax Theme 9 out of 10 based on 10 ratings. 9 user reviews.